Jonathan has a hard-earned reputation for getting the job done well, on time, and on budget. With budgets shrinking and location costs being the way that they are, the difference between getting the shots and not getting the shots often comes down to having the skill to do it right the first time. 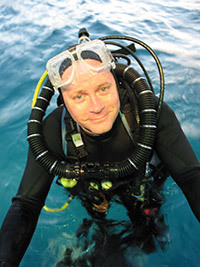 Whether it's cold arctic water, warm tropical water or somewhere in between, Jonathan has worked in nearly every underwater environment under all kinds of conditions and has the experience to deliver results consistently. 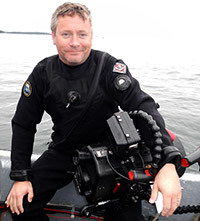  Underwater Director of Photography for season 4 of Wicked Tuna on Nat Geo, 2014. 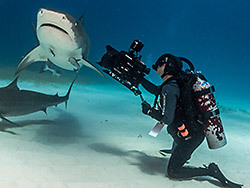  Underwater Director of Photography for season 2 of Filthy Riches on Nat Geo, 2014.  DP and Line Producer Nat Geo's Most Amazing Photos: Artificial Reefs, 2010. We own a large variety of production equpment so we don't need to rent gear. We shoot in both HD, 4K and 6K on platforms from the Sony Z100 (the 4K version of the venerable EX1R) to the RED Epic Dragon. 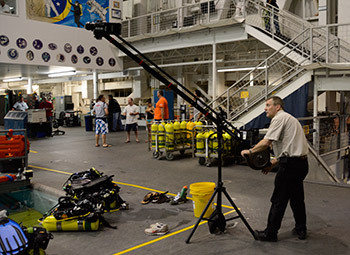 We own above and underwater lighting, tripods, jibs, gimbal stabilizers, SLR still photography gear, camera float platforms, GoPros, and pole cams. We regularly build specialized gear for specific applications in our own machine shop. No matter what your needs as a client, if it has an underwater component, you should call us. 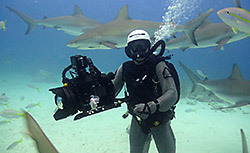 We don't shoot exclusively underwater, but it is our specialty. Jonathan is also available for speaking engagements.